Let’s begin this WinX DVD Copy Pro Review with 3 simple questions, if they relate to you then this post is for you. We all know DVDs are becoming old but that doesn’t mean we don’t have ways of preserving them or protecting our valuable content within them. Do you have a huge old DVD collection on your shelf or somewhere else and you have been looking for a way to make them digital? Are your DVD discs old & scratched and you want to clone your old DVD to a brand new better DVD? Have you tried other DVD copying software but they don’t work for you and you always run into issues and errors? It is important to make a new copy of your old DVD because of your old DVD is currently reaching its lifespan and so you don’t lose your precious videos, documents, images, music you need to do a DVD clone which means you copy old DVD contents into a new DVD which now creates a backup for your old DVD. Well, why don’t you give WinX DVD Copy Pro a try and guess what? You can get a free copy because of the ongoing WinXDVD Special Christmas Offer. 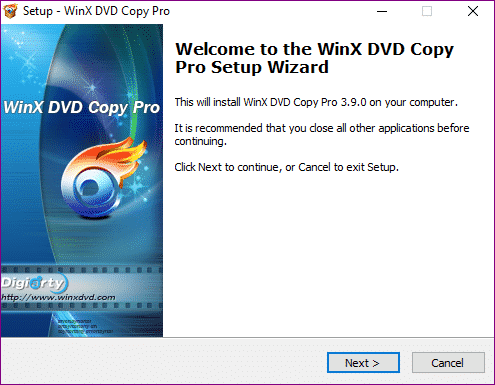 What are the Advantages of Using WinX DVD Copy Pro? WinX DVD Copy Pro is one the best DVD copy software that is fully optimized DVD copying & burning because of its powerful features like the core sector-by-sector duplication technology and a one-to-one DVD scanning mechanism which makes all DVD region free and ensure you get no reduction in video and audio quality. Get the best DVD copy software for free when you enter the WinXDVD special Christmas Offer giveaway. You will receive a free licensed copy of WinX DVD Copy Pro. 100% quality, structure and content when you perform a DVD clone. All DVDs are unlocked and made region free and this works for all DVDs including new 99-title, workout DVDs, Japanese DVDs etc. A perfect DVD clone in approximately 12-17 minutes depending on your computer’s specification and configuration. An automatic scratch DVD repair same goes for corrupted sectors, Disney’s fake, Sony ARccOS bad sector, all will be automatically repaired. WinX DVD Copy Pro has 9 fully packed and refined DVD copy modes which work so well for DVD cloning and it works for all kinds of DVDs which can be DVD-Video disc, DVD folder, or DVD ISO image or any other new DVD formats, WinX DVD Copy Pro has got you covered. WinX DVD Copy Pro remains unparalleled with it’s 1:1 ratio DVD scanning and analyzing mechanism which means there won’t be any difference between your old and new DVD. Everything would remain the same – 100% quality, structure and content. This can also be used as a way to backup old scratched DVD. With WinX DVD Copy Pro, you can clone DVDs to ISO images which can be used for burning to a blank DVD or playing or ripping to your computer. You can choose to Clone DVD at 1:1 to specific folders on your computer like the VIDEO_TS folder for a later use or more organized file system. You can copy your video DVDs to a single MPEG-2 file which converts your DVD into a single video file which can be watched on your computer using VLC Media player or playback from your console (PS3, PS4, Xbox One, Xbox 360 etc). WinX DVD Copy Pro gives you flexible backup options which means you can back up a specific DVD chapter that you like. This works best when you don’t really need all the content in the DVD, so you can just select what you want and backup only that up. It saves time and storage space. You can extract only DVD video track and ignore the audio track. This is very good for editing purposes where you only need the video footage and would use a different audio for the video. You also have the option of extracting only the audio track and ignore the video file. The audio track can be used for multiple video clips during editing. WinX DVD Copy Pro can be used to clone DVDs into an ISO image which can be mounted into a virtual drive and used to install software or access your documents or files. You can also use that ISO image generated from your DVD using WinX DVD Copy Pro to burn files into a new DVD. 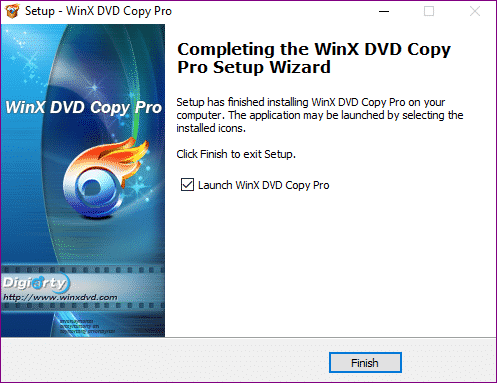 Here is a simple guide on how to use WinX DVD Copy Pro: One of the best DVD copying software to clone DVDs, copy DVD and backup old DVD. Step 3: Select what you want to do from the Full DVD disc backup, DVD title backup or you can simply use the tools. All these options are on the top left of the interface screen. Step 4: Click on RUN. Your new file would be in your Temp Folder.